Don’t get me wrong, I enjoy bacon. I don’t go crazy when I smell it but my wood of choice when smoking anything (ribs, chicken, brisket) is usually hickory… because, well, it’s fantastic. 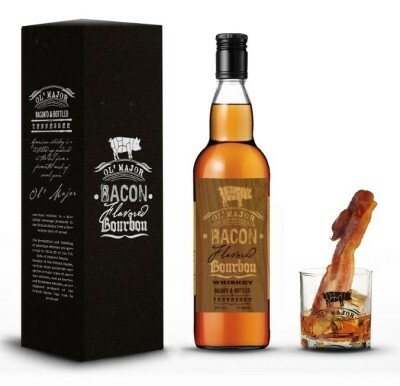 So when a company emailed me about a “bacon infused bourbon” my first thought was — GIMMICK. But, I was intrigued. I’d never buy this if I saw it in a store. But, if I saw a little airplane sized bottle, I would get it just to try it. So I receive the bottle and take a look. It’s nicely done, with a screw top and a woody label, and I crack it open. I sneak a sniff of the bottle and I’m surprised because it’s not in-your-face BACON. It’s the sweetness of the hickory with that richness you get when you chew on the meaty part of bacon. I get sweet rich porky flavor, a shade of that, that’s what really comes out when I give it a good sniff. I pour myself a dram and sniff it from a Glencairn. Right before I get into it, I think that this might not be meant to be enjoyed neat. It’s only 35% abv and the bacon flavors makes me think it’s like a liqueur. Or something that needs to be put into a drink, like those stories of bacon infused bourbons making fantastic cocktails. After writing this, I just realized I was at a bar someplace (one of those fancy cocktail places where the bartenders are all in suits with vests) when I had a drink that had a slice of bacon in it! I’m pretty sure it a Bacon Manhattan and it was absolutely delicious. The bacon wasn’t super strong in the drink itself but having the hard slice of bacon to chew on really sold it as a delicious cocktail. But before I get the thought fully through my head, I take a whiff. I get the smokiness of hickory smoke, not the iodiny medicinal islay smoke, and it’s unmistakably bacon. As for the look, it’s a little cloudy. I take a sip… and it’s way too sweet. Almost “yuck” level sweet. It’s almost so sweet that the bacon doesn’t come through. My thoughts go back to it being used in a cocktail and I go online to look them up. It might not surprised you know that there are about a million different cocktails that are made with bacon infused bourbon – which is exactly what this is! I didn’t want to go the traditional route of a tasting note since I wasn’t enjoying this neat, but I will tell you that here’s a recipe I tried and it turned out pretty good. I went with my brother-in-law’s Old Fashioned recipe (it helps that I had everything on hand) and used the bacon bourbon instead of the rye whiskey. It was pretty good! The bacon flavor wasn’t overpowering, there was a subtle richness to it that isn’t usually there. I think the orange peel and the bitters help balance it out. Next time I try this I want to fry up a piece of bacon and stick it in, just to see if it helps. I like the idea. I like the idea of this more than I like the idea of pouring grease into a bottle of bourbon… and my cocktail experiment turned out pretty good! One of my great loves in the world is putting together a fire. I’m not a pyromaniac or anything like that, but I enjoy the firepit outside as much as the fireplace inside. There’s something about the flames dancing around… it’s mesmerizing. So when I discovered that you could find flavored marshmallows, I knew I had to get some. Stat. 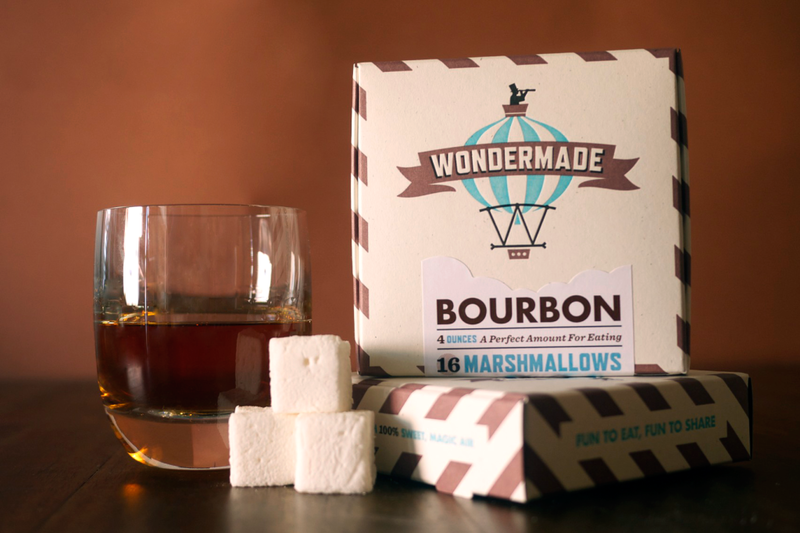 I haven’t gotten them yet but I plan on getting myself a set of bourbon marshmallows made by this company Wondermade. They’re not cheap, it’s like $8 plus shipping for a package of 16, but they are bourbon flavored! Have you tried them? What do you think? 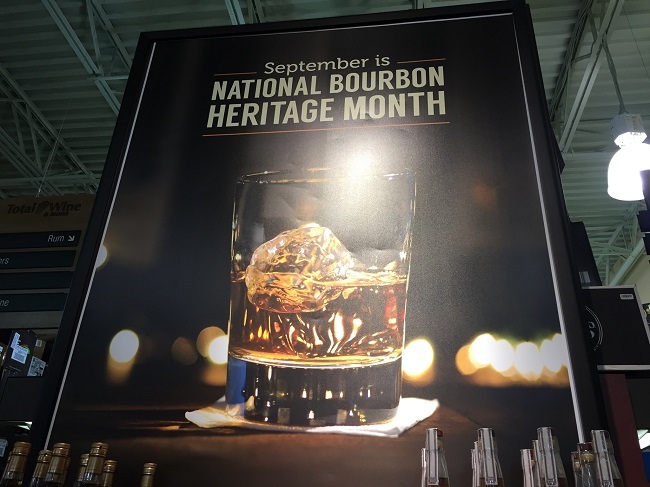 Did you know that September is National Bourbon Heritage Month? In celebration of this wonderful month, I thought I’d share my favorite bourbons. I only started enjoying bourbons within the last few years, so my evolution in enjoying this fine domestic product is still very very young. What I enjoy most about bourbon, besides the much lower price (it’s domestic, so none of those pesky import duties and fees), is that you can play around with the mashbill. It’s another factor you can adjust to get the flavors you want. With single malt scotch, it’s 100% malted barley. With bourbon, it’s 51% corn and the rest is up to you. While there are several tried and true ratios, in theory you could do anything. So which ones are my favorite in 2015? Here they are and since I’m a novice, most are generally available in your corner store. I haven’t gotten into more boutique, smaller batch stuff. Years ago, my friend Dave gave me a bottle of Basil Hayden as a gift and it really opened my eyes to how good bourbon could be. Until then, I had the somewhat snobbish impression that bourbons were cheap for a reason (they are, but not for the reason I thought). When I had Basil Hayden, it changed my perception. Gone were the memories of doing shots of Jack Daniel’s and Jim Beam back in college. In its place, a sweet peppery flavor that has a depth you can only appreciate if you sip it. My first ever scotch was Glenlivet, which has a spiciness to it, and so this bourbon was a nice little reminder of Glenlivet (on that score) but still 100% bourbon with the sweetness from the corn. I think it helps that its aged quite a bit so it’s smoother and it’s bottled at 40% abv. This guy will set you back around $40-$45. When I first had it, I wasn’t ready for it. I didn’t appreciate it enough. It was the Small Batch, 45% abv, and the slight increase in alcohol gave it a bit of punch I wasn’t ready for. When I had it a few more times, trying Single Barrel and Small Batch at other points, I really started to appreciate the richness behind the sweetness. I looked up the mashbill of the small batch and it’s 75% corn and 25% rye. The rye gives it the spiciness and corn gives it the sweetness. It would take several bourbons before I’d learn that I really enjoy a higher rye mashbill because of the spiciness (I enjoy spicy foods, so this is no surprise). Price tag for this guy is between $35-$40. No matter what you think of history, the Elijah Craig 12 is 47% alcohol and easy to drink. It won a Double Gold Medal in the 2008 SF Spirits Competition and one of my favorites. It’s also really affordable, you can probably find a bottle of less than $25. This last one is technically not a bourbon because a bourbon must be at least 51% corn. 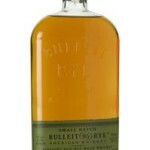 Bulleit Rye is 95% rye and 5% malted barley. If you want spicy, this baby is spicy because it’s practically all rye. Price on this baby is around $20. One company I want to put on this list but can’t is Buffalo Trace. Arguably one of the most well regarded bourbon distilleries, Buffalo Trace didn’t make my list not because I don’t like them but because I haven’t had enough of it. I’ve enjoyed Eagle Rare once (it was solid) and a glass of Pappy Van Winkle 10 (it’s not the one that goes for thousands of dollars… and it was delicious) before but that’s about it – not enough to think of them in my list of favorites. A few weeks ago, I mentioned I wanted to get into some bourbon whiskey and you guys sent in some fantastic suggestions. Until recently, my experience was limited to the stuff available by the 1.75L in plastic jugs (which barely qualifies as whiskey in the first place! 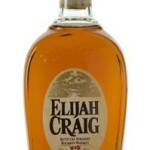 )… but armed with suggestions from you connoisseurs, I picked up a bottle of Elijah Craig 12. 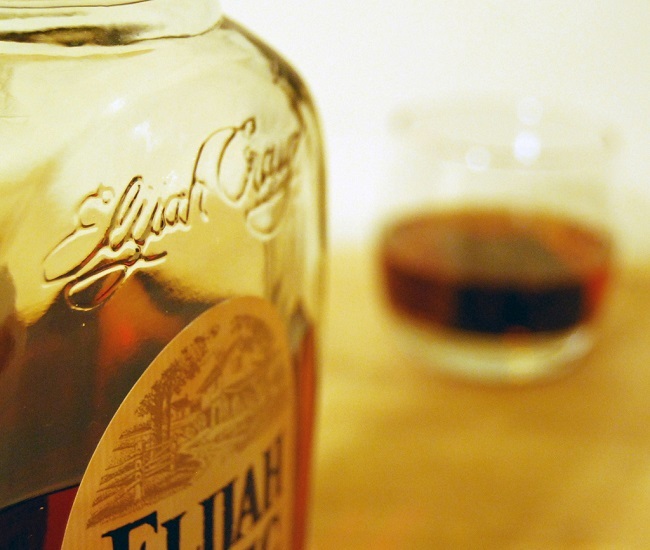 Quick history lesson for those curious about Elijah Craig – according to Wikipedia, Elijah Craig was a reverend and Baptist preacher who as born in Virginia, a part of it that would later become Kentucky, sometime in the early to mid-1700’s. It is believed he started aging corn liquor in charred oak casks, thus creating bourbon, though everyone will surely argue over this until the end of time. I just like that a reverend and Baptist preacher is credit with this at all! First impressions? It’s good. Sweet, very sweet, but tasty. You see, I bring a bit of scotch whisky history baggage with me when I drink bourbon. Bourbon is sweet because of all the corn in the mash bill and so it’s something new for me. Sweet is by no means bad (unless you hate sweets… then you’re on your own! ), it’s just different. The abv is high, 47% alcohol by volume (94 proof), and that’s another trend I see with bourbon. Most are higher than your Scotch standards of 40% and 43%. Not quite “cask strength” in the 60s but a shade higher. I was able to find a Elijah Craig 12 YO at my local store for about $30, which puts it in the same price range as a Glenlivet or Glenmorangie (but more alcohol!). That makes sense, as it’s aged 12 years old, but you can find younger bourbons for much much less (for example, Bulleit Bourbon is only $22 for 750ml). Another pattern I see is that bourbon is often cheaper, which makes sense because Scotch has to be imported. Overall, I thoroughly enjoyed it. Interesting side note, after enjoying some Elijah Craig, I immediately had some Basil Hayden in order to compare the two. 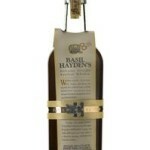 Basil Hayden wasn’t as sweet, which was nice, but it goes to show you it’s all a matter of reference. What are your thoughts on Elijah Craig? Why is bourbon so sweet? 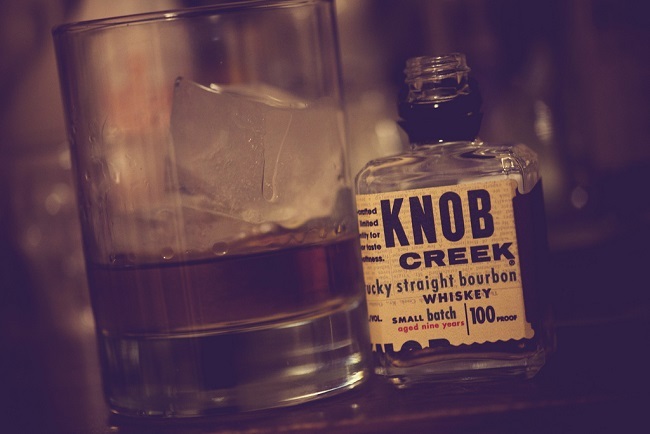 One unmistakable difference between bourbon whiskey and scotch whisky is the sweetness. You can come up with a variety of flavor profiles for any scotch whisky and “sweet” is unlikely to be one of them. Floral and fruity are likely to be more accurate descriptors than sweet, especially when talking about anything finished in port pipes or another dessert wine. But one sip of bourbon and the first thing that jumps to mind is its sweetness. Bourbon is sweet. So very sweet. When you think about how both bourbon and scotch are made, the processes are very similar. There are some big differences but you ferment the mash, you distill, then you age. So why is bourbon so sweet? It’s all about the corn mash. The stuff those geniuses ferment. Bourbon’s mashbill is made of at least 51% corn, often far more (closer to 70% as an average). 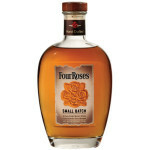 Four Roses has two mashbills, one with 60% corn and one with 75% corn. There are various high-rye, low-rye, wheat and whatever else mashbills but all share one characteristic – at least 51% corn. Scotch, on the other hand, uses mostly or all barley in its mash and the glucose content of corn is much higher. That glucose is what gives bourbon its easily recognizable sweetness. 51%+ corn in the mash is why bourbon is so sweet. I love scotch (and craft beer and many other spirits). I enjoy writing. The two collide here every week -- join us, we'd love to have you! Does the Glass Matter in Whisky? Do You Keep Whisky Boxes and Tubes? Randy Owensby on Thanks for subscribing! Bryce on What is the Best Beginner Scotch Whisky? Bill Richardson on How much is a dram of Scotch? Neil Martin on What is a Vatted Malt? Henry on Why do you put scotch in a decanter?